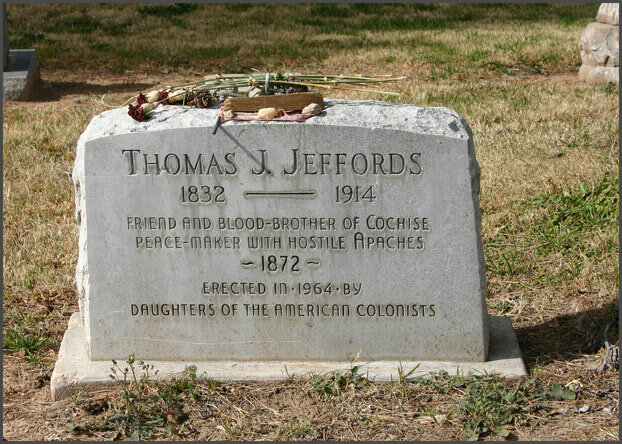 Tom was the only white man present when Cochise and his horse were buried. He took that secret burial place to his grave. He spent the last part of his years mining in the Tortolitas near Tucson. Thomas Jeffords' story went to Hollywood. He is portrayed by James Stewart himself in the 1950 movie "Broken Arrow" a film based on Elliott Arnold's historical fiction "Blood Brothers"